The best gaming headset can genuinely make a big difference to your life… well, your gaming life anyway. 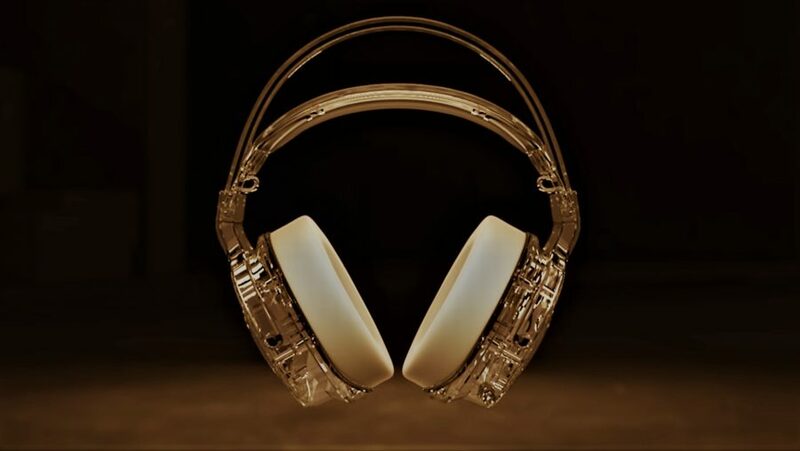 It might be a little much to expect a shiny new set of headphones to solve all your problems. But whether it’s by giving you the best in-game soundscape, or letting you pick out footsteps around the corner like some audio-based wall-hack, great game audio can be transformative. 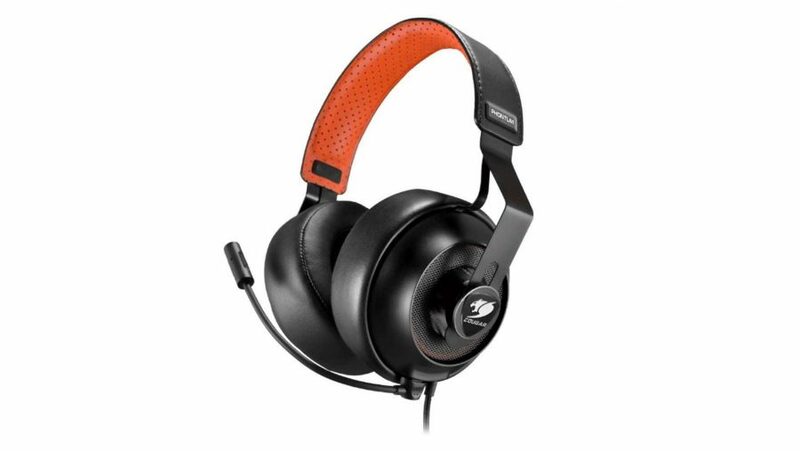 Making sure you’ve got the right audio setup for your gaming rig is absolutely vital to getting the ultimate experience, and a quality gaming headset has a massive part to play in the overall immersion of PC gaming. We’ve tested the latest and greatest from the top manufacturers in the land, from Turtle Beach headsets, Razer, HyperX, SteelSeries, Sennheiser, and more, all to help you figure out what the right set of cans is for you and the games you play. But the best gaming headset can mean different things to different people. Do you want a versatile headset which will make your music and movies sound just as good as your games? Are you an isolationist who needs a pair of cans to block the outside world or a set which will deliver the most natural soundscape possible, regardless of leakage? And can you cope with being wired for sound or do you absolutely, positively have to go for a wireless gaming headset? Do you even need a dedicated gaming headset at all? If audio quality is the be-all-and-end-all for you it might be interesting to note there’s a growing trend of using audiophile headphones, coupled with discrete desk-based microphones, so you can still yell abuse at your gaming buddies while enjoying the absolute best aural experiences money can buy. Check out the best gaming headset prices at Amazon US or Amazon UK. A simply stunning package of outstanding audio, great design, and fantastic value-for-money. Improving on everything the Cloud II got right, the Cloud Alpha offers an even more immersive experience at the same price. The drivers are beyond impressive, and for the sub-$100 price point, they offer frequency ranges rivaling the $250 Razer Threshers. 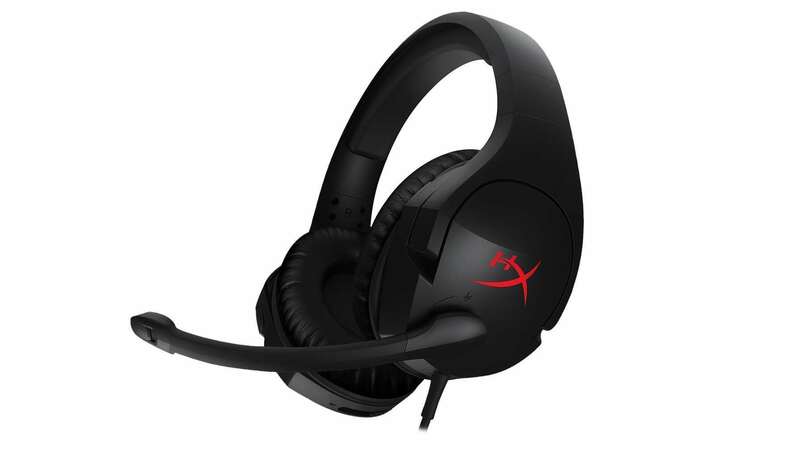 The HyperX Cloud Alpha offers excellency in design, durability and quality, while maintaining a fantastic price. Kingston took their time redesigning the Cloud headset, and with good reason. The HyperX Cloud II needed something utterly spectacular to justify a redesign, and they’ve delivered just that with the Cloud Alpha. 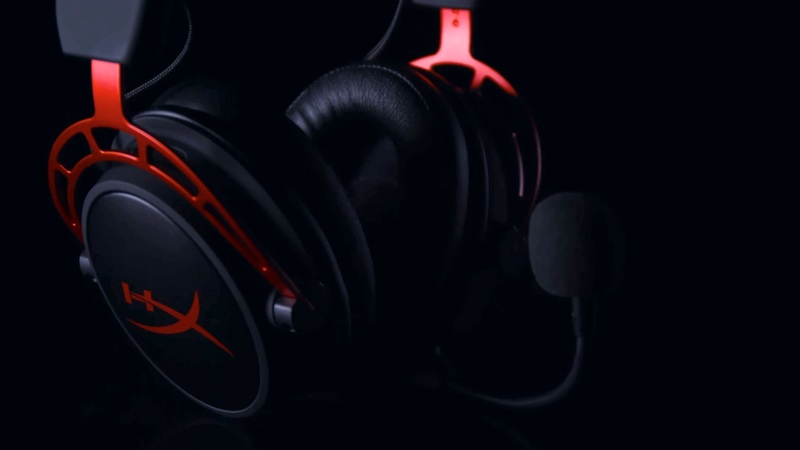 Read our full HyperX Cloud Alpha review. It's not the most flashy of gaming headsets, but it's got it where it counts on the audio side. The lightweight build encases 50mm drivers capable of an impressively broad 10 – 40,000Hz frequency response – far and away beyond what any non-audiophile headset on our roundup can produce. They live up to the expectation, too. The headset offers rich and crisp sound which is plenty capable of producing solid bass without sacrificing a complete soundscape of more than acceptable mids and highs along the way. So, you’re asking, what’s the catch? Well, it’s not the price, that’s for sure. Its MSRP is $100 / £90, but you can find easily find it for considerably less on a regular basis. 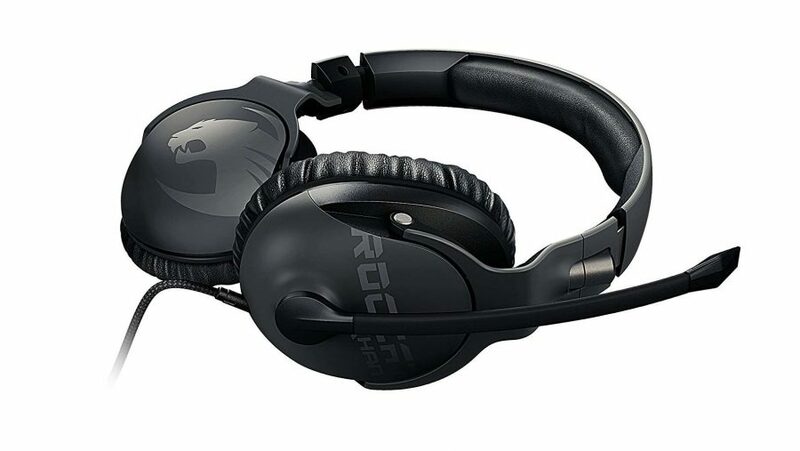 Roccat has aimed this straight at the HyperX Cloud Alpha’s price point, and it hits the nail right on the head for price and performance in that bracket, and easily breezes past the competition if you find it for a good deal less. A fantastic update to what was a so-so gaming headset. 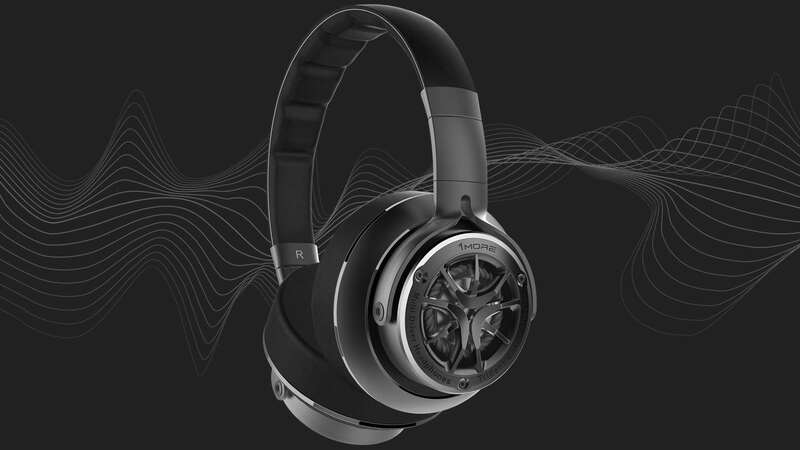 With a stunning level of detail the AG1x delivers a superbly rich gaming soundscape. Take a note of the ‘x’ at the end of the name of this Audio-Technica ATH-AG1x headset – that single character is important because there is also an ATH-AG1 headset. It was the forerunner to this updated version and was a set of cans which failed to build on Audio-Technica’s high-end aural heritage. Don’t mix up the two because you’ll be seriously disappointed and be missing out on one of the best gaming headsets around. That broad soundscape really brings games to life. Whether it’s the richly detailed world of The Witcher 3 or the terrifying war-zones of the Battlefield games, the increased level of immersion will have the hairs on your arms standing tall. Its strange design notes aside, the Audio-Technica ATH-AG1x is one of the most impressive-sounding gaming headsets I’ve used. Improved frequency response over the Cloud Alpha, with the same dual-chamber design, but with more connection options. With a far higher price tag than the excellent Cloud Alpha headset, the Cloud MIX has to fall into the high-end gaming headset category. But it fits in well here, with a broader frequency range making the most of that fantastic dual-chamber design. That wider response is only accessible via the wired connection, with the wireless operation limited by the bandwidth of Bluetooth. 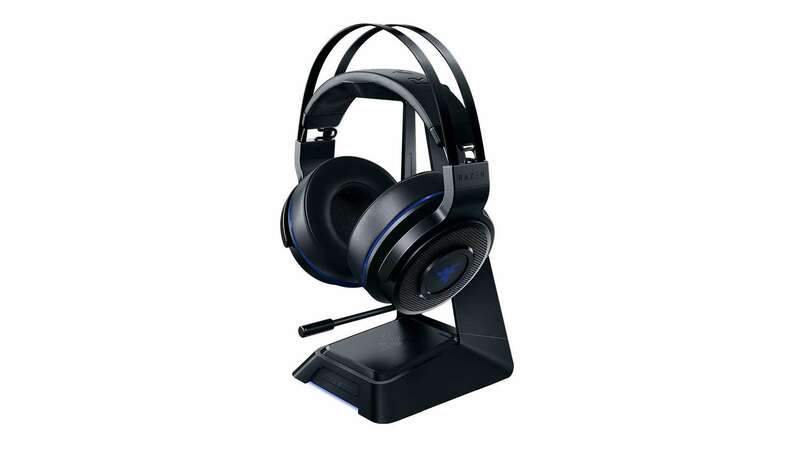 You are able to hook these up wirelessly to your PC, but only via the Bluetooth connection – it’s more designed for phones and mobile devices than for your gaming rig. In terms of audio I prefer the Audio Technica’s performance, and the standard Cloud Alpha if I’m being honest. The tuning of the Cloud MIX a bit too bass-forward for my tastes, even if it doesn’t muddy the audio clarity. Read our full HyperX Cloud MIX review. A great set of open back cans, with serious detail even at the highest volumes. Sennheiser hasn’t forgotten its roots in high-end audio, and that’s evidently clear with the GSP 500. Its open-back design creates a spacious sound profile that makes for easy listening and clear definition whether gaming or listening to music. 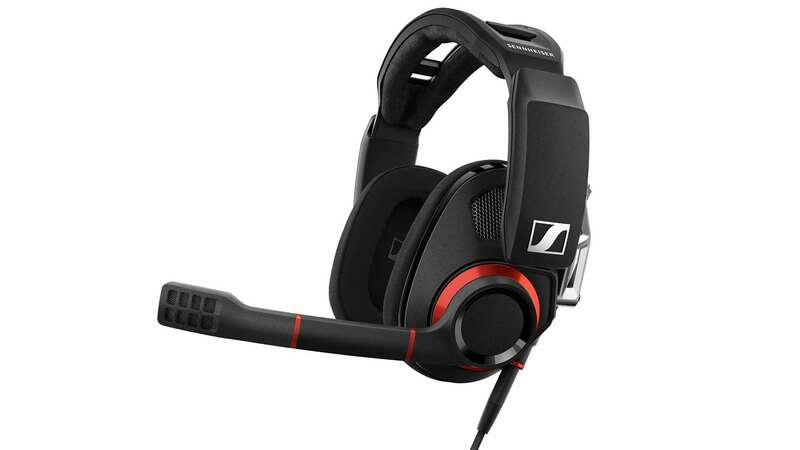 While it’s not the cheapest gaming headset out there, the Sennheiser pedigree – evident in the GSP 500’s overall quality – just might convince you. The build quality is great, the features decent, and the sound quality almost unmatched in the gaming space. Its price may be too big a hurdle for some, but, in return, you receive a fantastic gaming headset from one of the most reputable audio companies going. Read our full Sennheiser GSP 500 review. These well-priced cans deliver a genuinely surprising level of audio quality. Corsair has been a world leader in high-quality gamer peripherals, and its HS50 headset is no exception to the rule. The 50mm drivers offer shockingly crisp and detailed sound, despite the limited 20 – 20,000Hz frequency range, and the bass isn’t too overpowering as is the case with many gaming audio peripherals. 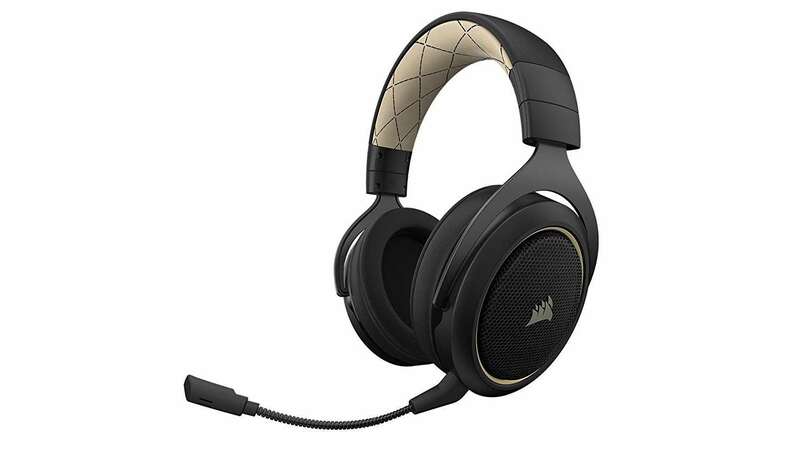 All in all, Corsair really knocked it out of the park with this headset – simple, good quality, comes with a rubber grommet to cover the mic input when it isn’t in use (it’s all in the details), and an absolute steal at that $50 / £55 price tag. Read our full Corsair HS50 review. The comfy, chunky earpads and quality audio belie the price of these excellent Cougar cans. It’s hard to argue with the value proposition of Cougar’s Phontum gaming headset. The overall quality – both sound and build – easily outweigh this headsets price tag. Cougar would’ve taken the top spot only months ago with the Phontum, but Corsair’s HS50 headset just about edges the competition. The headset is marginally adjustable utilising the rubber grommet sliders on the side of each ear cup, which is likely fine for most users – just be wary of this if you often prefer a larger fit. But the sound is close to superb at this price range. Audio is well-balanced, and the bass doesn’t tend to obfuscate the rest of the audio – a common symptom of gamer cans. For the most part audio remains consistent and clear from the 53mm drivers even at higher volume levels, too. Building on the audio heritage of the brilliant Cloud Pro headsets, the Stinger brings that detail into a more affordable space. The HyperX Cloud Stinger is trying to build on the audio heritage that the outstanding Cloud Pro began all those years ago, but this time from a more budget-oriented standpoint. And that much is obvious from the thin cushion on the headband and the lightweight, rather plasticky frame. Pulling them from the packaging I was a little concerned about how they might sound. My prejudices were quickly dismissed as soon as I started using them. The 50mm directional drivers deliver an impressive, balanced sound, with a decent amount of separation in the audio. The Stinger, then, is a well-priced headset with a surprisingly detailed sound. The same simple Arctis design, but with the original Siberia wireless functionality. Simply the best cable-free gaming headset around. The Arctis Pro Wireless is all about premium. It features a lightweight aluminium and steel design – which only weighs 371g – and utilises the famed Arctis adjustable headband design. SteelSeries have also chucked in their Airweave ear cushions that make for some seriously comfortable cans. That’s good an’ all, but how does it sound? Simply put: the Arctis Pro Wireless sounds spectacular. It features a naturally flat and well-balanced sound, accurate reproduction, and offers a vivid soundscape that makes for an incredible listening experience – good enough to make even a die-hard audiophile crack a smile. It’s capable, connected, comfy, and crystal clear. All the C’s you could ever want in a gaming headset… except for cheap, I suppose. But, while it may not be the most affordable headset on the market, as far as wireless gaming cans go, you’ll find few better that check all the boxes like the Arctis Pro Wireless. Read our full SteelSeries Arctis Pro Wireless review. Razer doesn't have the most established name in high-end audio, but the Thresher Ultimate is a great piece of engineering and design. In sheer aural terms there is only one other wireless headset capable of matching the quality of the Thresher Ultimate. They maybe don’t have the tonal separation of the stunning HyperX Cloud Alpha, or the same super broad soundscape, but they still deliver incredible crisp, detailed sound. And even though it’s a Razer gaming headset the bass response isn’t overblown and doesn’t crush the highs or mid-tones. Where they do stand out is in the addition of Dolby Surround, accessible via a discrete button on the base station, and the easy on-ear controls. The battery life is decent, rated at around 16 hours, which bore up during our testing. But one of my real bug bears is there seems to be no easy way to tell how much capacity is left in your battery – having a level indicator would be nice. The wireless connection, however, is strong and stable and the audio excellent, so they definitely get the win for us. Read our full Razer Thresher Ultimate review. Good wireless gaming audio doesn't have to cost the earth, and these Corsair cans are testament to that. Corsair’s HS70 is a wireless gaming headset that not only competes with wired headsets in quality and sound, but also in price. 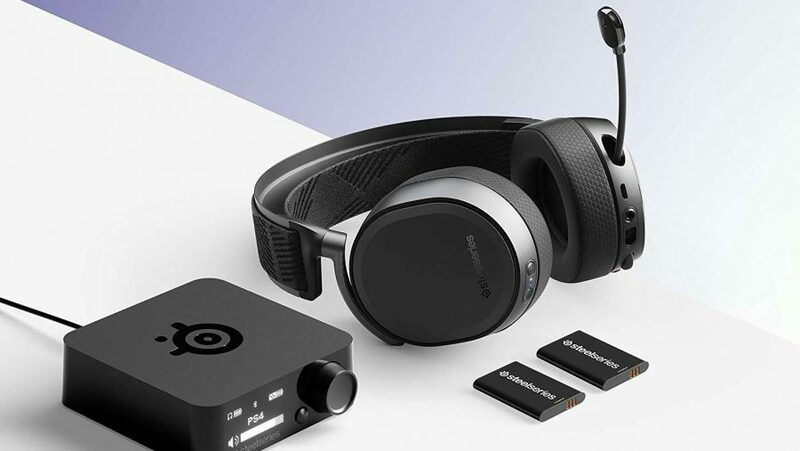 This low-cost wireless set features the same comfortable design, simple styling, and clean audio reproduction as the wired HS50 headset from Corsair – which is our current favourite cheap gaming headset. The price for cutting the cord from its tethered sibling isn’t too dear, either. This headset offers a solid microphone to compliment the clear audio from those two 50mm drivers, and the battery life is a hefty 16 hours to keep you gaming without distraction. Read our full Corsair HS70 review here. Incredibly expensive, but the most incredible-sounding headset ever to grace our heads. The headsets we’ve picked so far are all gaming-focused models. Sometimes that can mean an uneven approach to audio which puts too much emphasis on the bass response to the detriment of everything else. The Focal Utopia headphones, however, are all about the most perfect, the most detailed, and most accurate representation of audio. But that comes at a cost, and I’m not just talking financial either – they’re not the most comfortable to use when listening to music. Because of their detail they can be a little harsh on the high end, but that also makes them incredible with in-game audio. The open-backed nature of the Utopias means that any open-world game’s soundscape becomes hugely expansive. So often I’d have to take them off, so sure was I that someone was talking to me from the real world when it was just another NPC just out of sight. The boring name belies the quality audio those triple driver cans are able to deliver. The combination of 40mm graphene driver, the ceramic tweeter, and the bass reflector, means you get a seriously warm, rich, and detailed aural experience. They may not have the same broad frequency range of the other two selections here, but the 1More headphones are reasonably priced for such audiophile-esque cans. There’s no distortion, even when things are getting very ‘splodey in Battlefield V, thanks to the separated drivers. And that leads to an impressive level of tonal separation too, where they’re tuned to avoid any sound muddying the others. 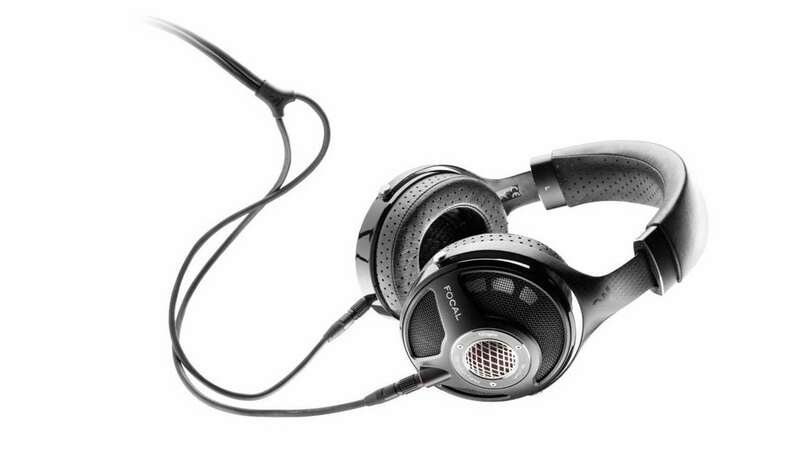 Read our full 1More Triple Driver Over-Ear Headphones review. With the OPPO PM3 headphones no longer available the DT 1770 Pro cans are the more-affordable end of the audiophile landscape. 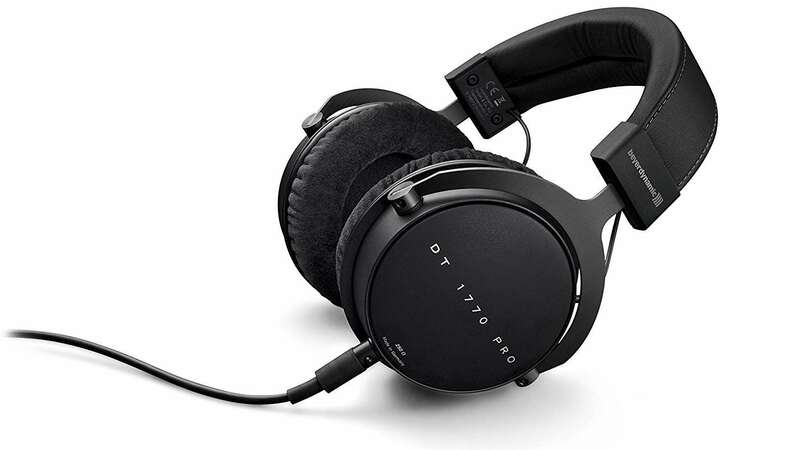 Beyerdynamic’s studio grade DT 1770 Pros are another beautiful-sounding set of headphones. Again, they sport a broad frequency range of 5Hz – 40KHz, and complement that with some of the crispest bass tones you’ll hear. That robust bass is so well controlled that it doesn’t touch the mid-range one jot. And they’re also considerably cheaper than the mighty Focal pair. 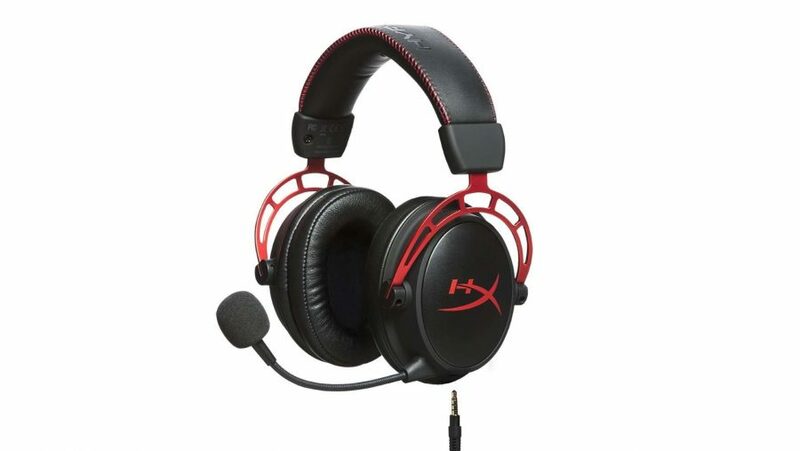 HyperX has been topping the gaming headset charts for years now. 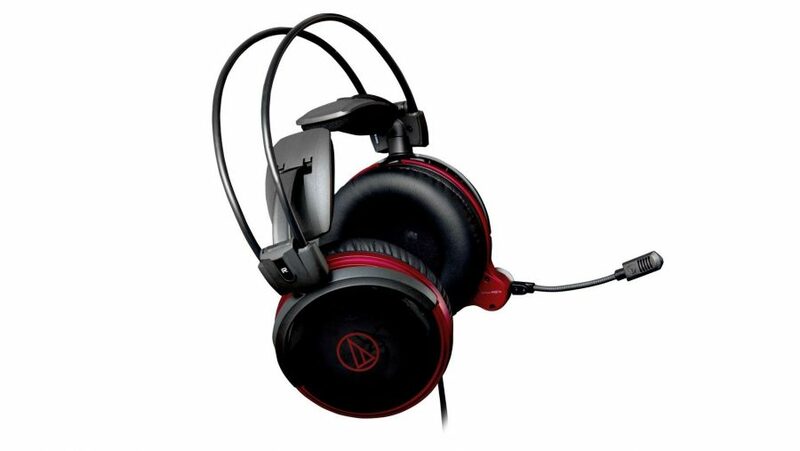 Before the mighty Cloud Alpha came the original Cloud Pro cans, both headsets offering better quality gaming audio than the competition for often less cash. They’re worthy winners and it’s going to have to be something special for another manufacturer to knock them off the top. But it’s a different matter in the wireless headset space. The SteelSeries Arctis Pro might be rather pricey, but it offers great sound as well as an unsurpassed feature set. The Razer Thresher Ultimate comes close, but can’t quite top the SteelSeries set. 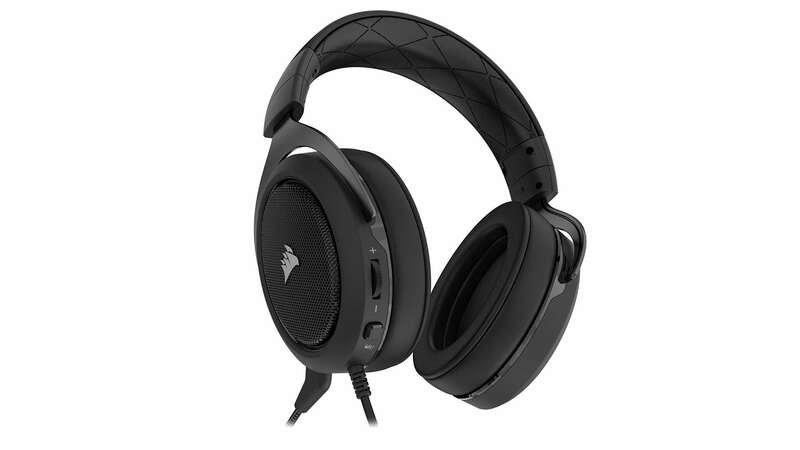 Thanks to Corsair, however, you don’t have to spend a huge amount to get great-sounding gaming audio. 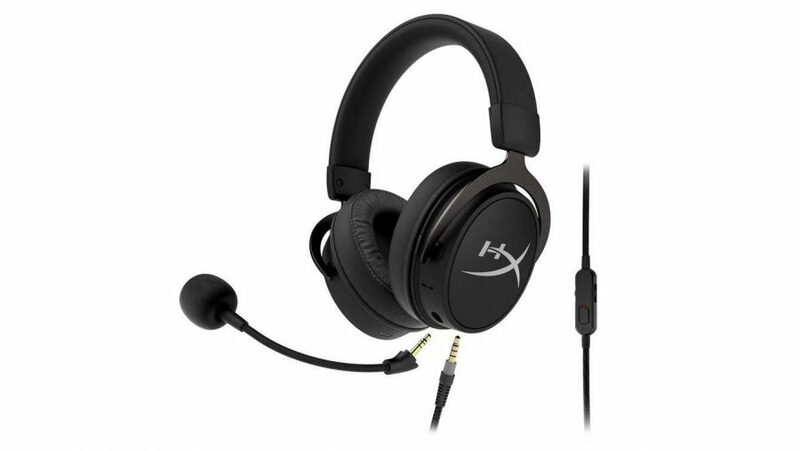 The HS50 headset is a fantastic option if you can’t stretch to the price of the HyperX Cloud Alpha. Though if you do have the money, and a penchant for high-resolution audio, then you’d do well to find a set of headphones with the detail of the Focal Utopias.